#1 Lets start at the top with beanies. Also known as woollen hats, bobble hats and tuques depending on where you are from. 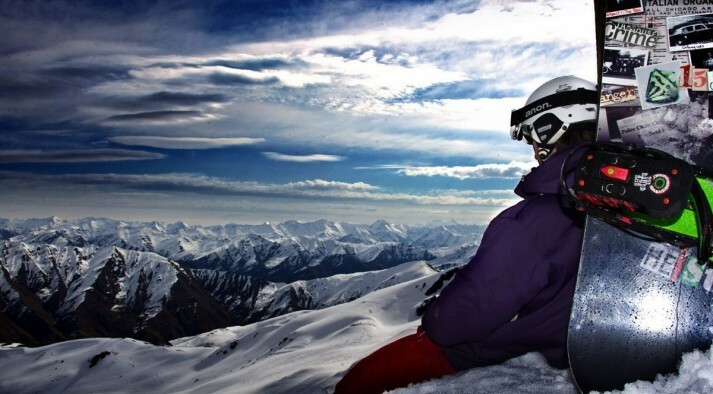 These days most people wear a helmet when on the slopes, so a beanie is worn when commuting to and from the mountain. Beanies are perfect for covering your helmet hair at lunch and after skiing, especially if it matches the rest of your outfit! They are also great for wearing around town if you can’t be bothered putting a comb through those knots! If you are going to wear one on the slopes, make sure it’s nice and warm and not scratchy inside. #2 Neck warmers are one of my favourite items and I always wear one when riding. I will admit I have about 10 of them… all different colours. I wear one when it’s cold and I tuck it up just under my goggles, which stops my face from freezing as I zoom down the slopes. Then when it’s warm and sunny, I have a lighter one I wear to protect my skin from the sun. Keeping my skin youthful (I hope!). Although not an essential item, it might be worth having one for those cold days at least. #3 Goggles and/or sunglasses; for eye protection. You need to wear one or the other when on the mountain, as the sun reflects off the snow and is very bright. The sun can cause damage if you do not protect your eyes. So which one? If you are just learning to ski or snowboard you may get away with wearing your sunglasses, as you’ll be moving kinda slowly. Once you start moving faster, or if it’s a little windy or snowy, on the mountain goggles are best. They completely cover your eyes with no drafts (if they fit you correctly) meaning no watery eyes from the wind or snowflakes. #4 Finally we have gloves. Your gloves need to be waterproof! No doubt about it. If they’re not, you will likely get really cold hands. If you’re a person who gets cold easy and does not enjoy it, I would recommend getting mittens. Having all your fingers together means that they are much warmer than gloves. Gloves come in different levels of warmth so make sure you get the right ones for the conditions you will be in… and if you can, match your outfit! 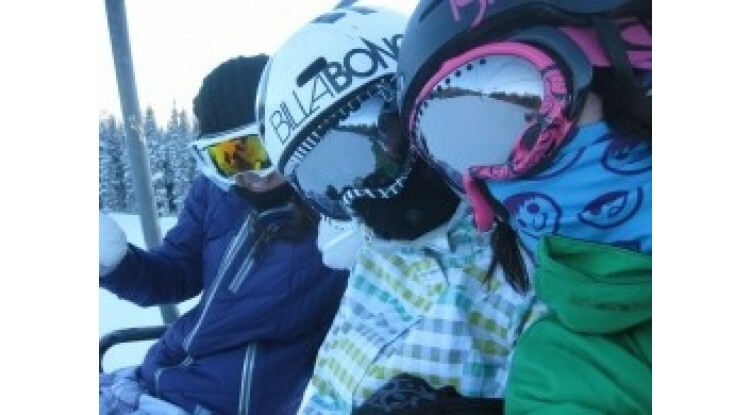 As you can see these ripper snowboarder girls are taking advantage of the neck warmer. Any guesses on who they are? All of these items, as well as jacket and pants, can be brought once you arrive in New Zealand. So don’t stress about having to get them before you come over. 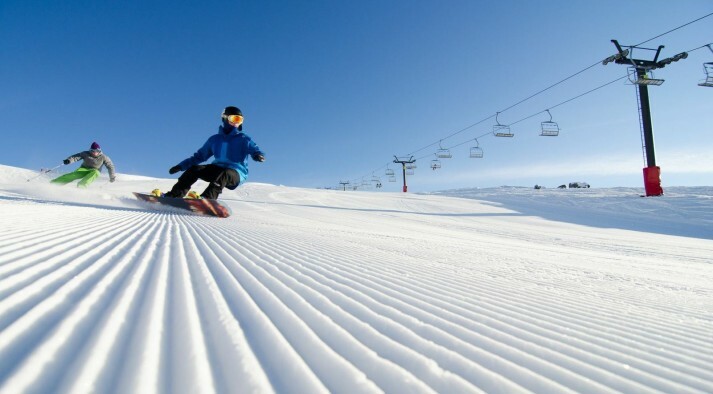 There are many great ski and snowboard shops in the towns that our tours are based in, so just let us know if you need to get something and we can take you there and help you out if needed. Well that wraps up my little three blog snow outfit series. 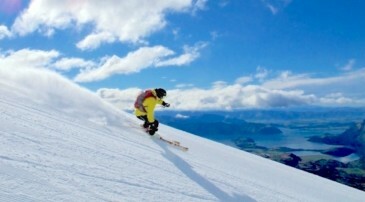 Make sure you drop by next week when we will be meeting Rose Battersby, one of New Zealand’s Ski Olympic hopefuls.